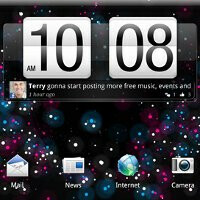 We’ve already heard about the HTC Puccini, a 10-inch tablet in the works over at HTC, but nothing compares to screenshots of the HTC Sense UI running atop the Android 3.0.1 Honeycomb, courtesy of HTC insider blog 911Sniper. The HTC Puccini features a WXGA resolution of 1280 x 800 pixels, and according to the leaked information, it will come with 4G LTE connectivity. The tablet will probably feature Qualcomm’s third-generation MSM8660 chipset clocked at the impressive 1.5GHz and if that doesn’t mean much to you, why don’t you check out the benchmark cracking performance of the dual-core MSM8660 silicon demoed by the company mere weeks ago? Real-life scenarios of using the silicon muscle include handling 1080p full HD videos and HTML5 playback, which both ran without a hitch. Unfortunately, we run into a paradox here because out of the whole MSM8x60 family of processors, only the MSM8960 chipset supports LTE connectivity. Will the HTC Puccini rely on AT&T's HSPA+ network instead of using its future LTE pipelines? Bear in mind that all this information is preliminary and that the tablet's final hardware profile might undergo some changes. We will keep our fingers crossed in hope of hearing a solid confirmation from HTC soon. even though it's Sense it looks like a down grade from the stock Honeycomb experience. HTC Sense is amazing but I agree with you. With tablets is better a minimalist UI. What about a toggle switch? Of course this could come in ice cream sandwhich. Where you can switch between stock UI and Sense. 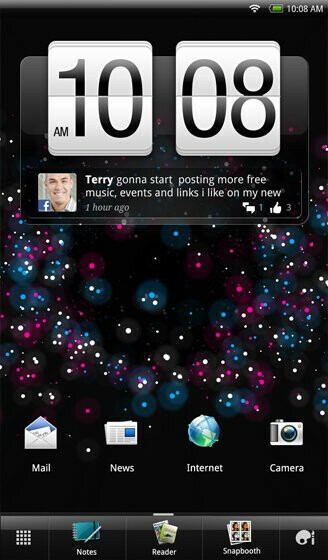 There are some Sense fans like my self who cant stand the stock android UI. This way everyone is happy. not everyone likes the honeycomb UI...Id rather have the old type of UI. Something simpler. I thought they said this was going to AT&T? Seems like it'd be Sprint or or Verizon if it has the MSM8660 in it... "The MSM8x60 family of processors is made with 45-nm technology and comes in three versions: MSM8260 for GSM networks, MSM8660 for CDMA carriers and MSM8960 for LTE."